Bikers from various member states of the European Union (EU), including France and the United Kingdom, have joined a massive ride to the EU headquarters in Brussels to protest at proposed European measures designed to prevent bikers from servicing their own bikes and forcing them to book a service with a registered mechanic. 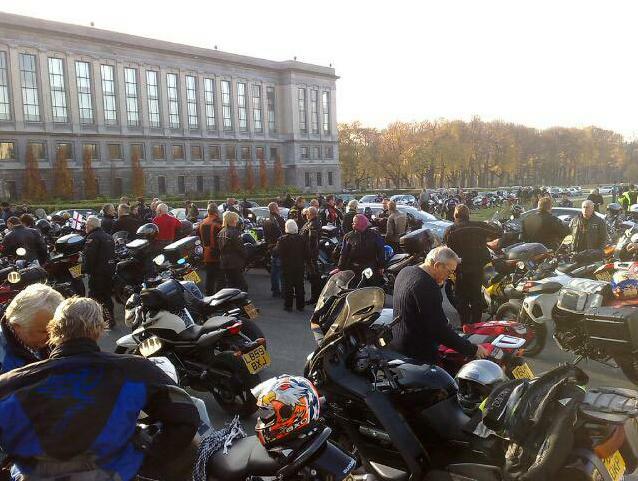 The bikers made their own way to Brussels and gathered outside the Auto World Museum before riding en masse to the European Parliament where MPs and other relevant politicians were invited to hear the bikers’ concerns over the proposals. Many bikes are currently equiped with an on-board diagnostic system to enable their owners to easily identify a fault, but under the new proposals, new bikes would be equiped with systems that only dealers can decipher. We see this as yet another attempt by the authorities to treat bikers like cash cows although home or self servicing has always been a practice as long as bikers have the knowledge and expertise to do so. Not only British and French bikers joined the protest ride to Brussels but also bikers from many other European countries including Belgium, Holland, Germany, Denmark, Italy and Spain. The ride demonstrates the on-going and strong unity and determination of bikers across the EU who will fight against any authority that dares to compromise the freedom that they have always enjoyed and fails to recognise the many benefits that motorbikes and scooters can bring to the environment. This is the first time where hundreds of French and British bikers joined forces and expressed their anger at proposals that could potentially compromise the future of motorcycling in Europe. “L’entente cordiale” as many Brits call it has never been so strong between the two nations, at least among the bikers. Let’s see what the EU has to say now. Stay tuned, UK France bikers.com will keep you informed of the developments. If you’re based in France and want to take part of the fight against the Government’s proposed introduction of a compulsory annual environmental and road safety test for motorcycles and their continued policy to ban motorcyclists from filtering through traffic, then contact the Fédération Française des Motards en Colère (FFMC – French Federation of Angry Bikers).